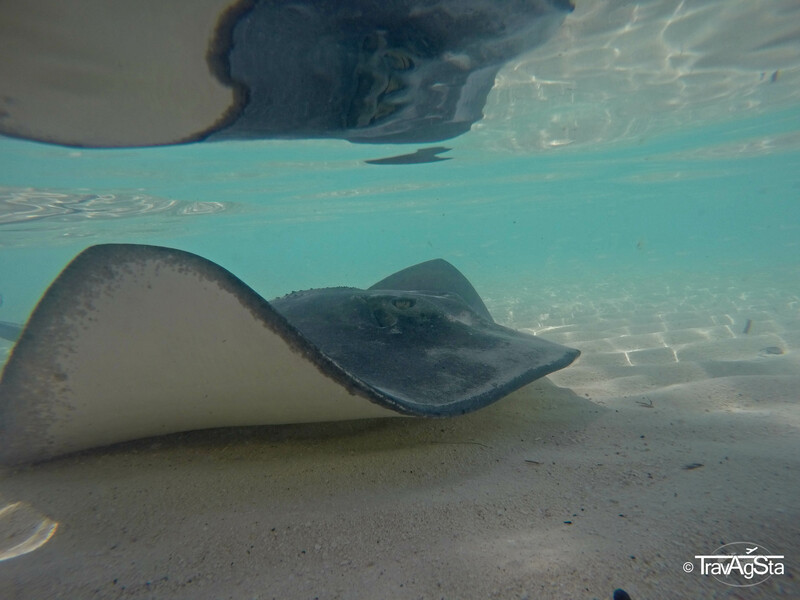 The Exuma Cays are extraordinary and one of the most beautiful places we’ve ever seen. Crystal clear and turquoise water, naturally beautiful beaches, sunshine, a lovely sea breeze surrounded by friendly people. It was like the paradise on earth. 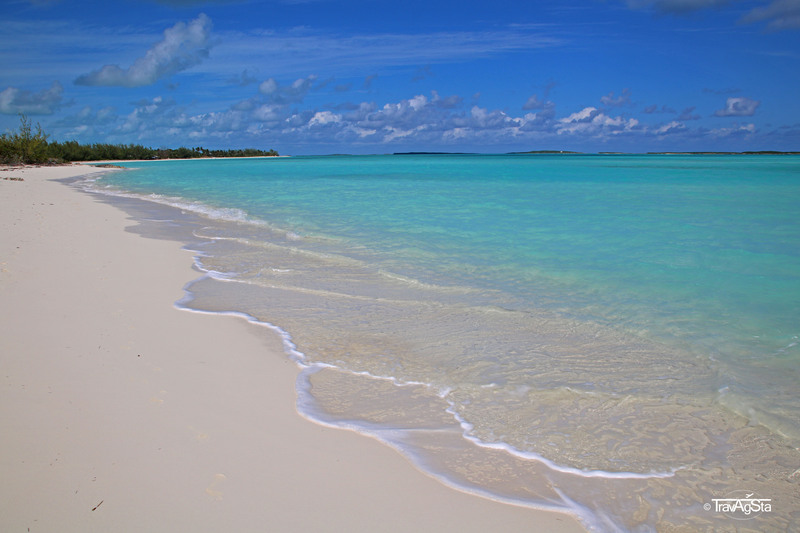 There’s no place in the world with sand as white and soft as on Great Exuma. 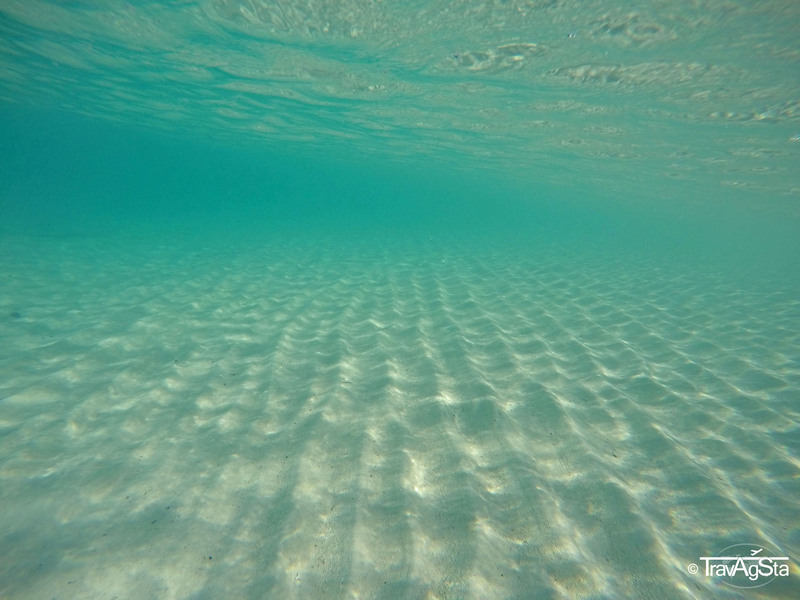 Did I already mention the crystal clear water? Probably. 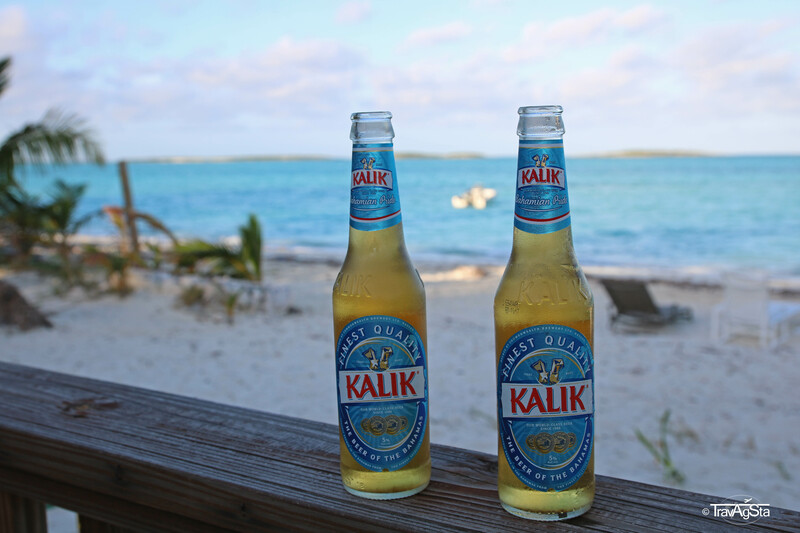 So this is what our week on the Bahamas looked like. 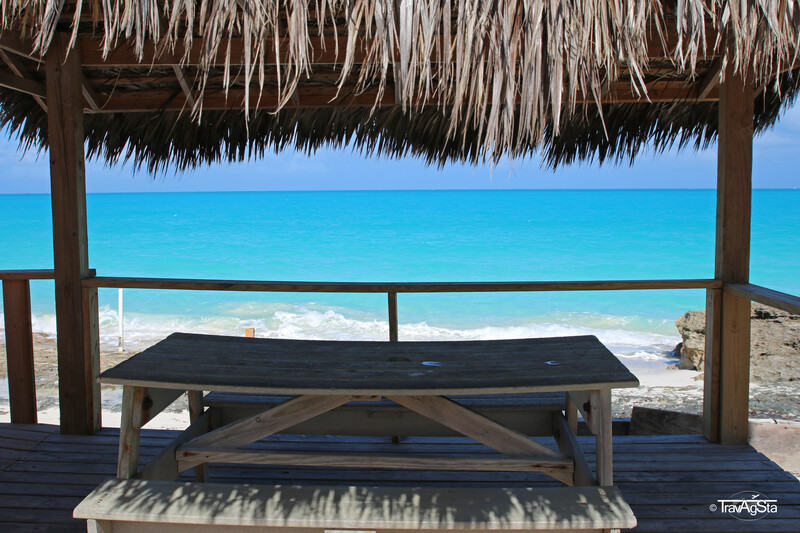 To be precise, we stayed on Great Exuma and made day trips to the islands of the Exuma archipelago. For some people, a week on the beach is too boring. Actually, this is what we normally think, too. But there’s enough to see on these islands and you can still perfectly relax. 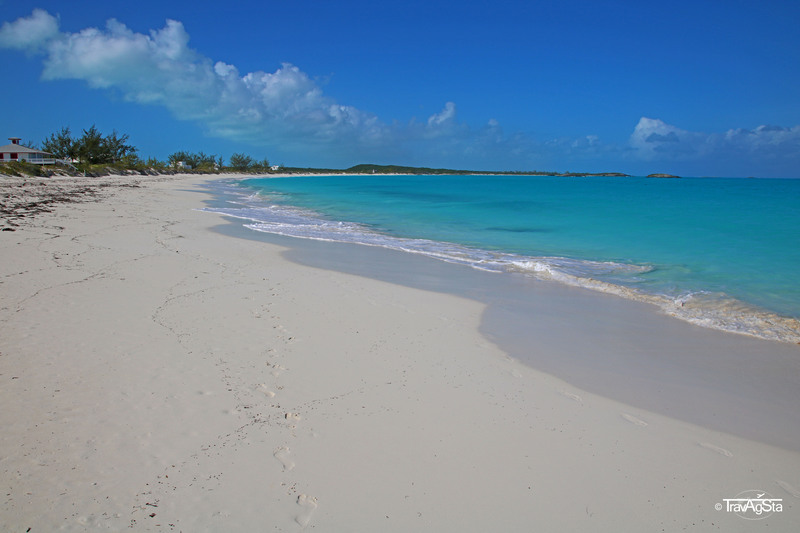 In the following we’ll show you some of the most beautiful beaches, you have to see when in Exuma. And: Where to eat and what kind of day trips you can make. To be honest, we didn’t have to move too far to see this beach. 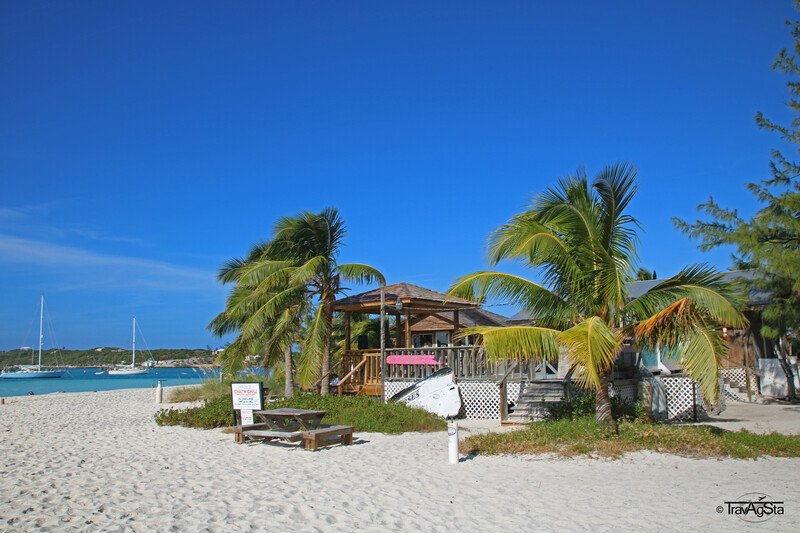 Our accommodation was in Rolleville in the Northwest of the island and Coco Plum Beach was just a ten-minute beach walk from there. Despite being a beautiful bay with a long white sand beach, there’s a huge sandbar, being just picture perfect. The first days after our arrival were quite windy so the sea was a little bit choppy. As you can see on the pictures, we could still live with that view. 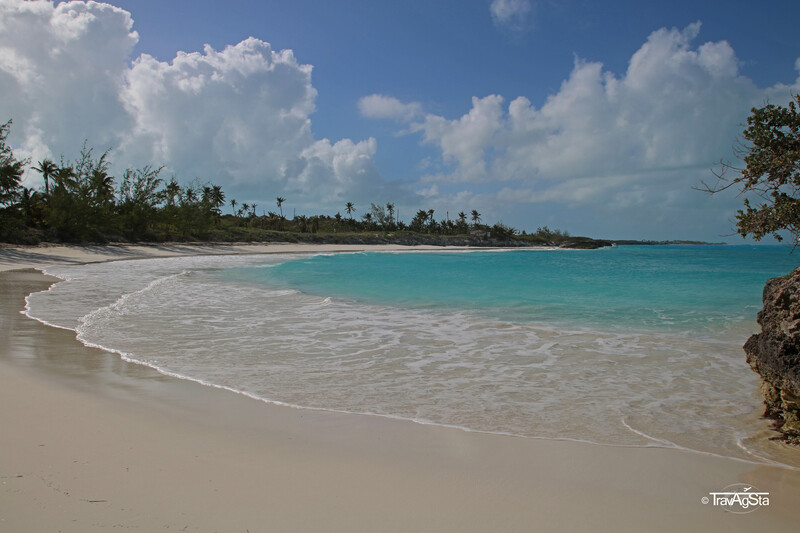 Coco Plum Beach is one of the most beautiful beaches on Great Exuma. 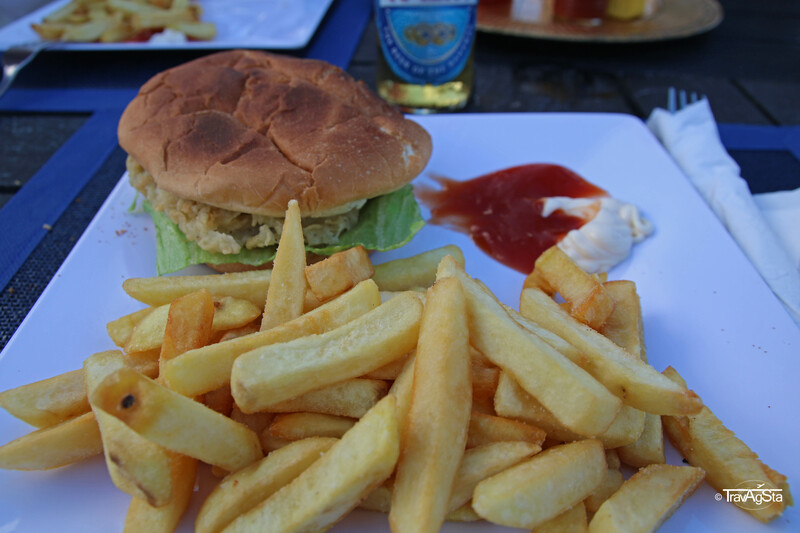 The ‘Shoreline’ is a little Cabana not far from dreamy Coco Plum Beach offering delicious Conch Burgers and Wraps for decent prices. Eating with a view is a thing and it’s great at Shoreline with a fantastic view close to the beach. 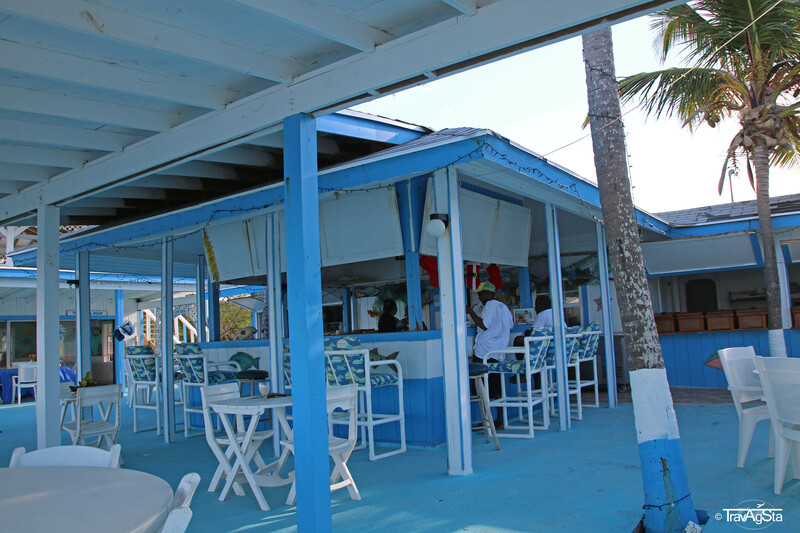 The owners of the restaurant/cabana are very friendly and nice guys. 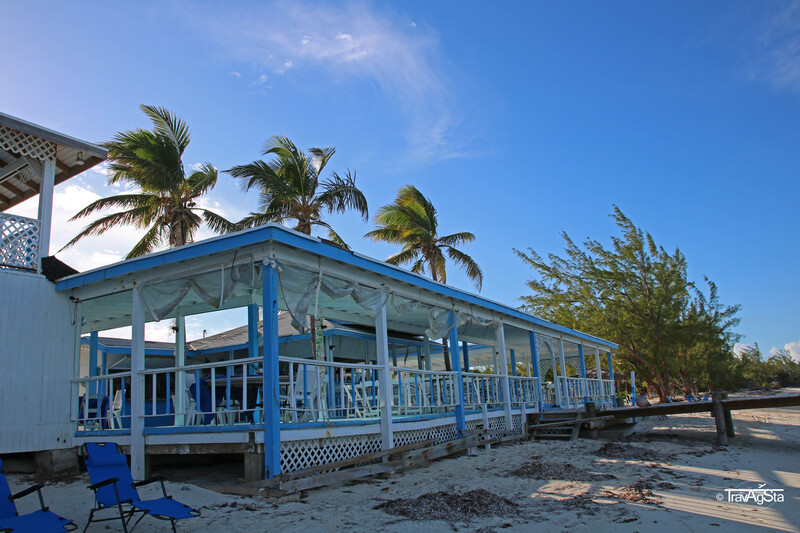 Another good restaurant in the north-west of the island which only serves on the weekends is ‘Exuma Point’. 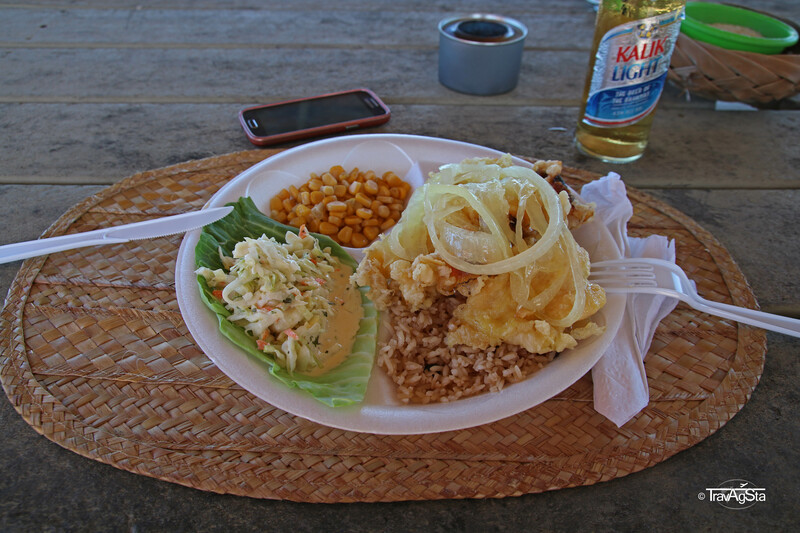 The view of the sea is great, the food (buffet) delicious and the ‘Bahama Mama’ is awesome. 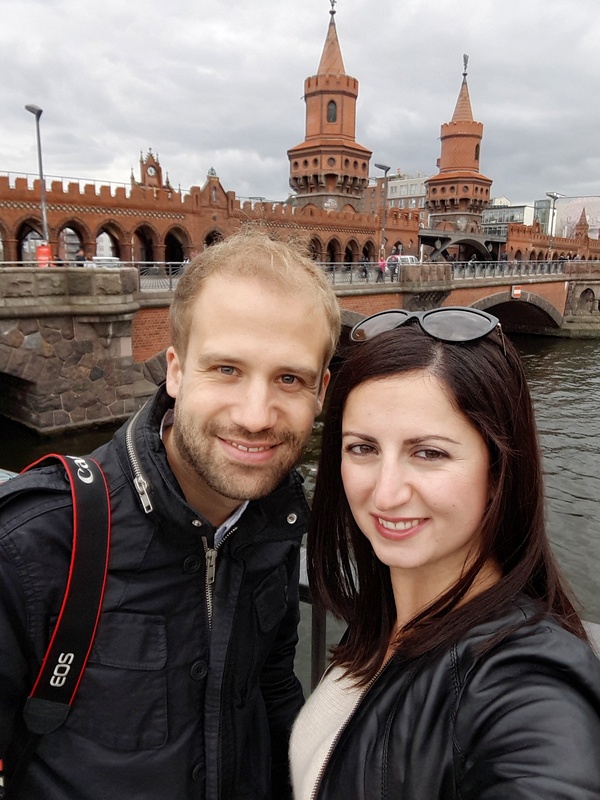 Unfortunately, the price-performance is not really good, but visiting it once was great. 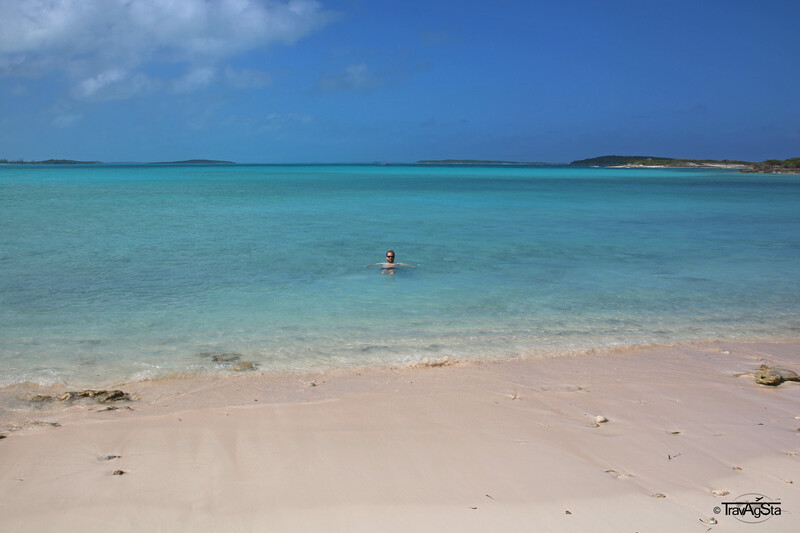 We rented a car for one day and headed to Little Exuma. 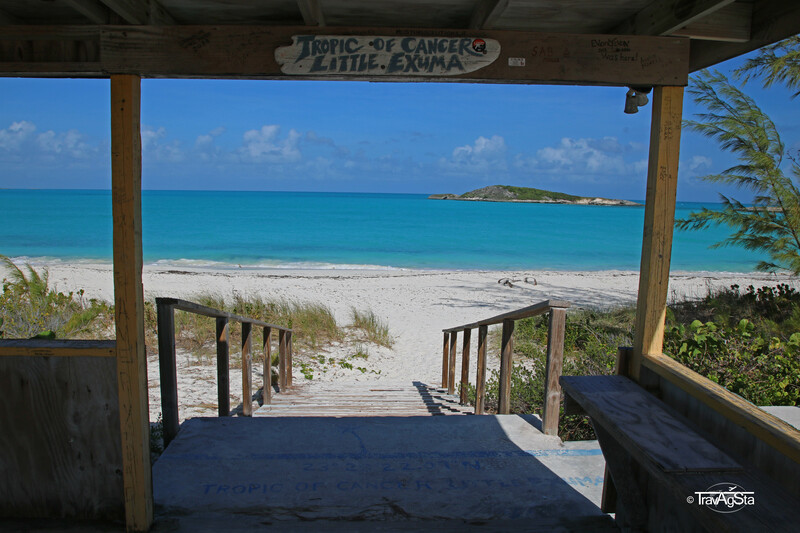 Our main destination: Tropic of Cancer Beach which is said to be the most beautiful beach on the island. Of course, we had to check what all the fuzz is about. 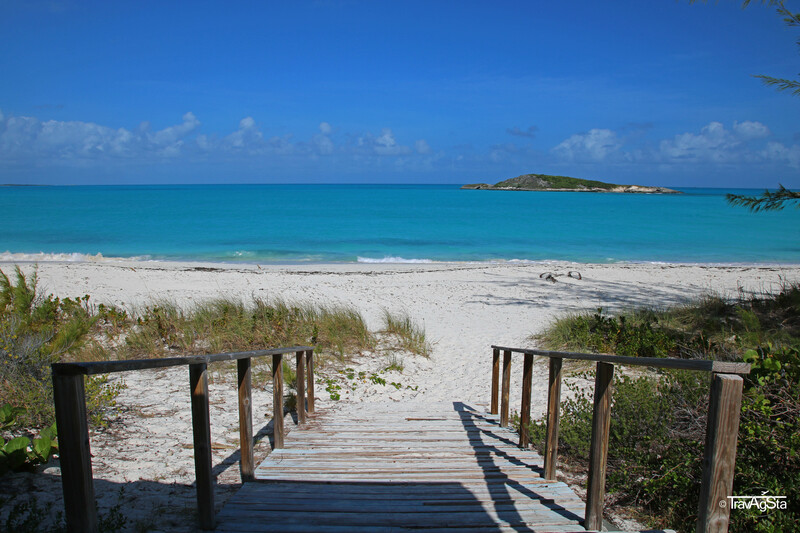 We were really enchanted by this endlessly long beach with the white and soft beach and the really turquoise water. As mentioned before, we had a few windy days and the sea was choppy; therefore we can’t say this one has earned its title ‘most beautiful beach’ for a reason. Gotta love first world problems. Some scenes of one of the ‘Pirates of the Caribbean’ movies were shot on one of the offshore islands – I think that’s when it started to become famous. 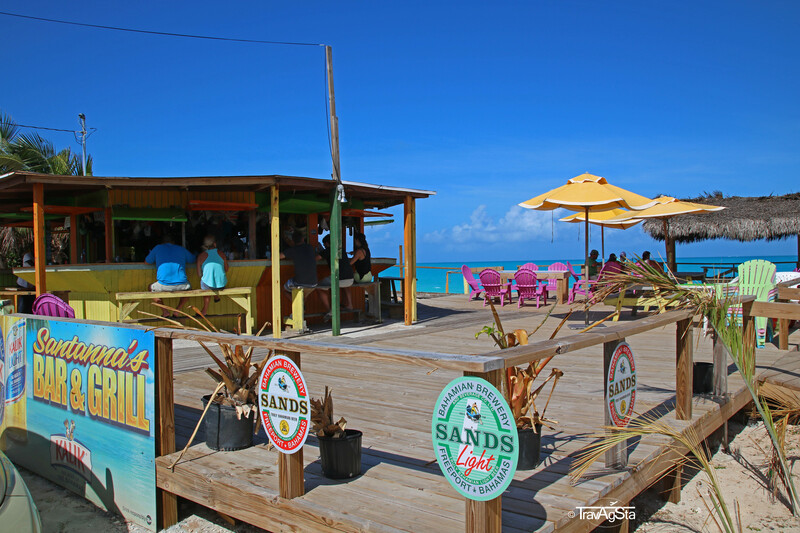 On the one hand, this beach bar fits perfectly in this environment; on the other hand, the food is delicious. 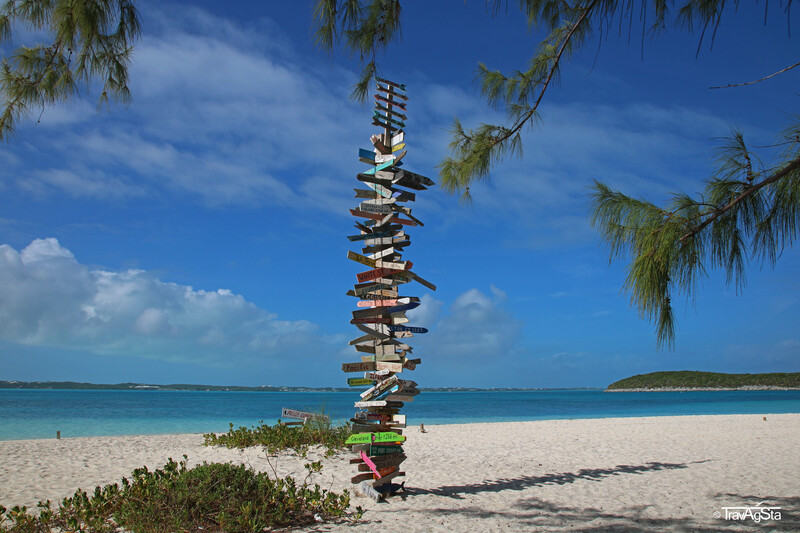 It’s located near Tropic of Cancer Beach on Little Exuma. It became famous when Johnny Depp was dropping by when shooting ‘Pirates of the Caribbean’ (see above). 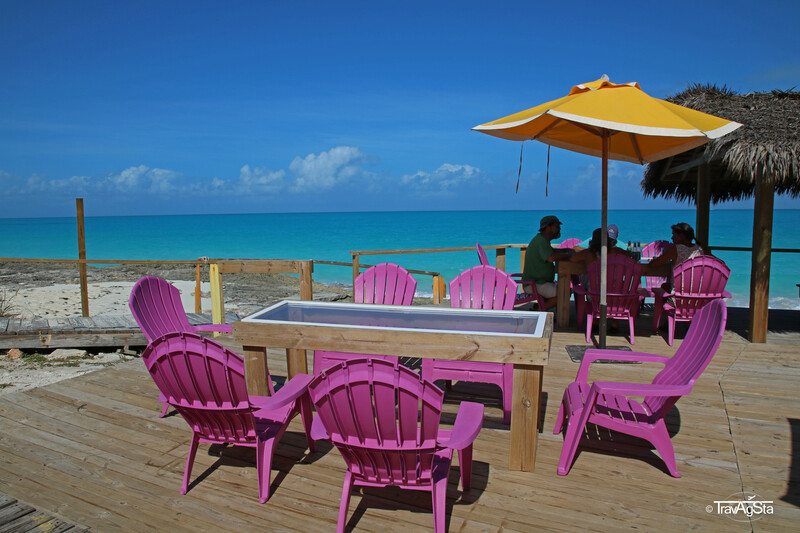 The view combined with the excellent food makes it a culinary must-visit on your Exuma journey. 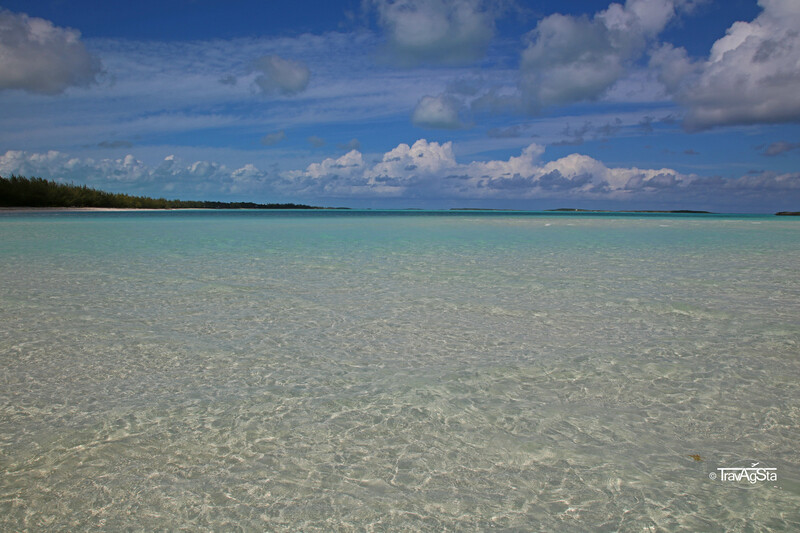 Pretty Molly Bay is a beautiful Bay on Little Exuma with the softest sand we had ever had under our feet. The story about the bay’s name is a little bit spooky: Pretty Molly once was a slave that committed suicide at this beach. According to locals, her ghost haunts this beach every night. As I love places with a story, we act like this story is 100% true and don’t have a doubt about it. Anyway, it’s a really beautiful bay and you should definitely spend some time here. 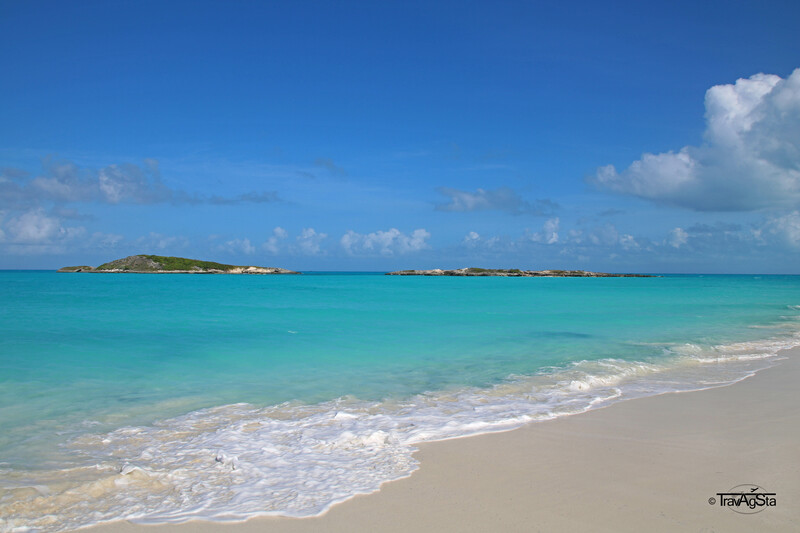 If you’re sick of all the turquoise water on Great or Little Exuma and prefer seeing different turquoise water somewhere else, we recommend you to see the surrounding islands. We made three trips of a different kind. The third trip has its own post, so you will read about it later. 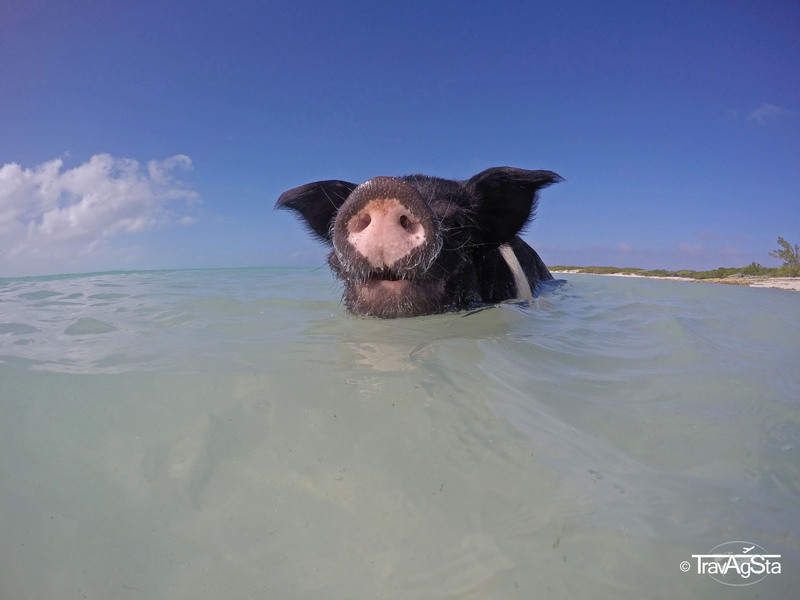 Over the last years, the Bahamas became famous for their Swimming Pigs. 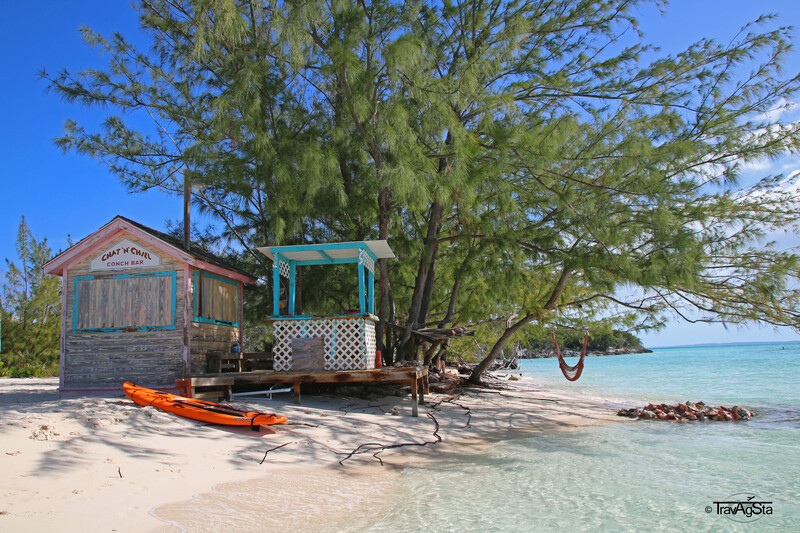 For a simple beach holiday, it actually could have been any Caribbean island for us. 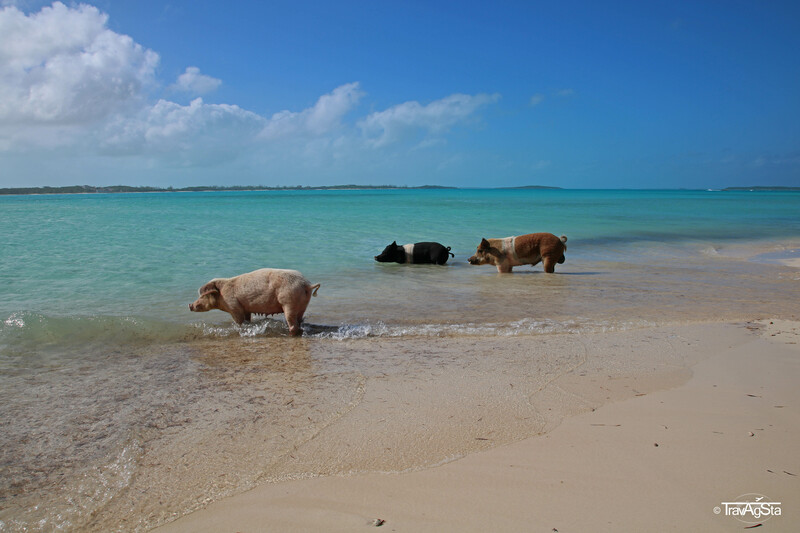 But seeing the Swimming Pigs was on our bucket list for a long time now – so we booked our flights. 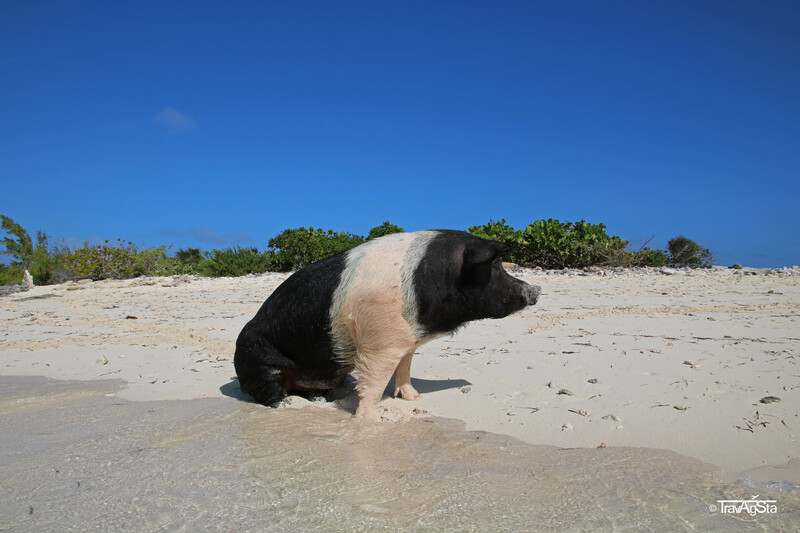 Next to the main pig island Big Major Cay, there’s another little island where the Bahamians exposed pigs. 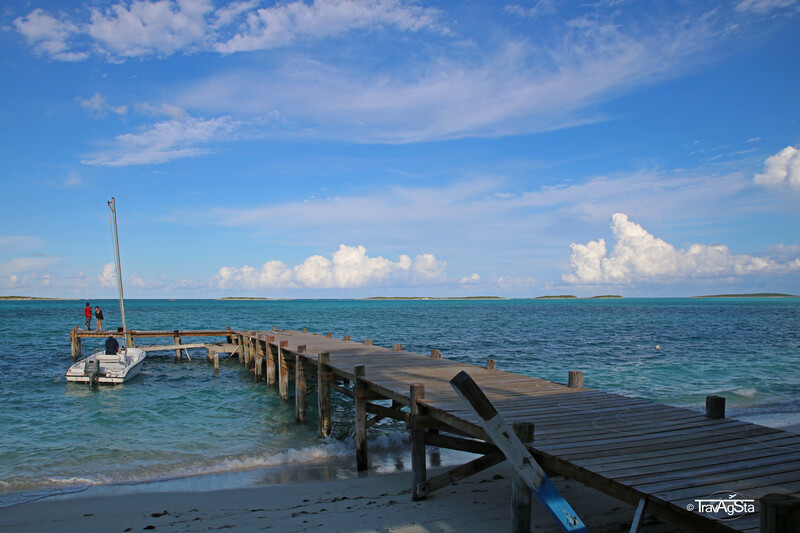 The main reason for this was the distance to Big Major Cay which you can only see on a day trip. If you don’t want to or don’t have the time: The little island is just across our accommodation ‘The Bay Inn’ in Rolleville. 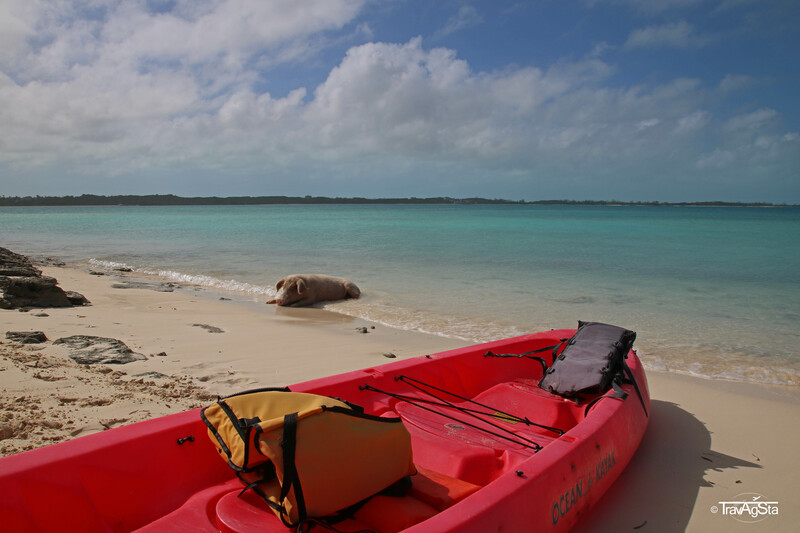 We rented a kayak from our host and had the island with its huge pigs for our own. 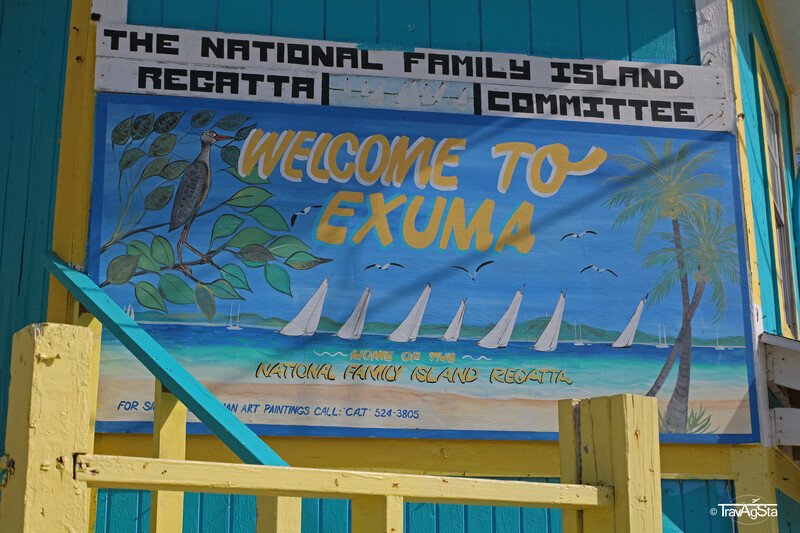 If this is too exhausting for you (and it really is, when paddling against the drift), you can pay (50$ per person from Exuma Point or alternatively from Georgetown) and they bring you there with a speed boat. It was surreal, seeing those pigs on the beach or in the water. Be careful before going swimming with the pigs. The moment they enter the water they start peeing – like a lot. As great as the Swimming Pigs are – (pig) pee is still disgusting. We definitely had a lot of fun here! 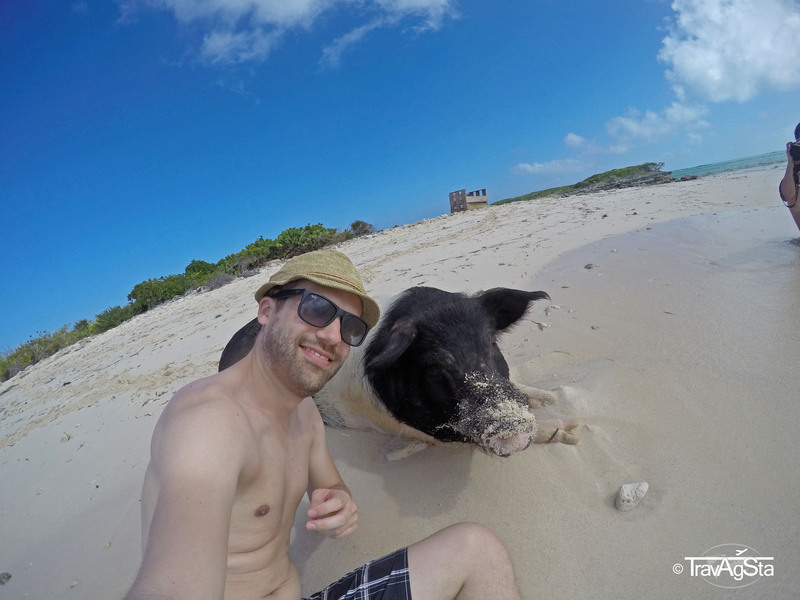 The Swimming Pigs belong to any Exuma trip. Oh my, I’m in love with Stocking Island. Everyone knows the pictures with the huge stake and the millions of signs showing in all directions – and of course, the famous ‘Chat’n Chill’ bar. In the morning, we took the taxi boat from Georgetown and headed to the island. It was a short 10-minute ride. We were just on time with peak season prices: it cost 15$ per person for the return trip. The craziness immediately starts. Postcard motives wherever you look. 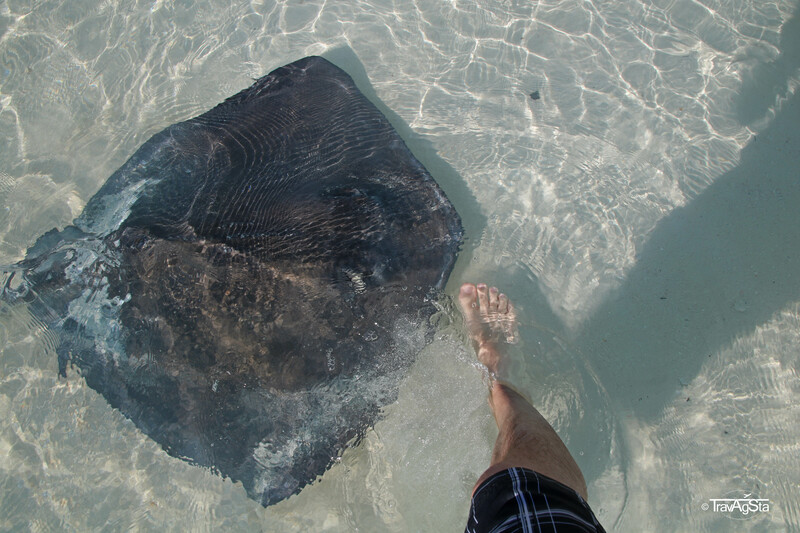 Crystal clear, warm water, palm trees, white and soft beaches and: stingrays. Before noon we had the area around Chat’n Chill almost for ourselves and it didn’t really become crowded later. 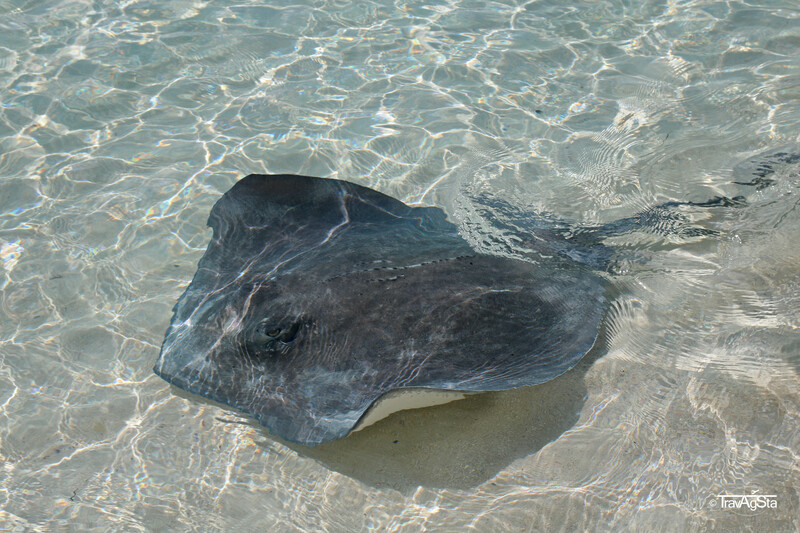 The main attractions for us – next to the island’s beauty – were definitely the stingrays which have found a food source here: the left-overs of the Conch Salad Bar. 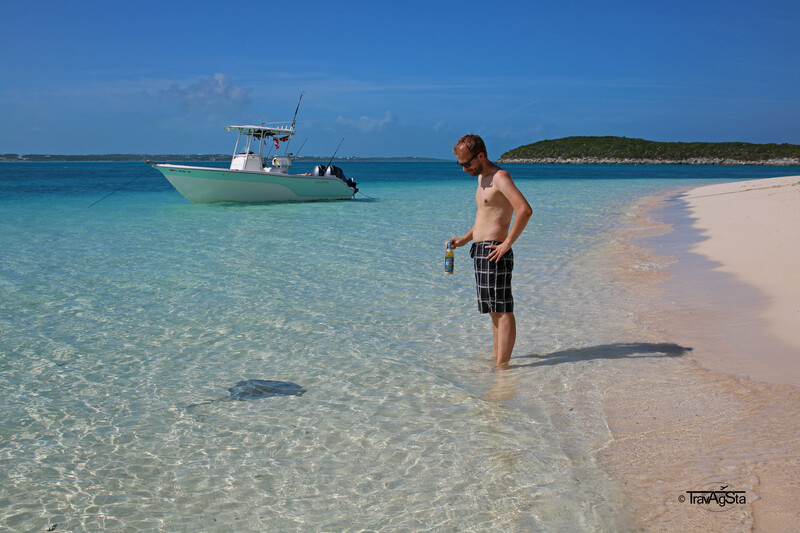 Stingrays love conch and actually anything else you bring with you. But Conch especially. At first, I was a little bit scared to touch them. But it turned out they’re already used to humans and loved to be tickled at their belly. To finally see them live and touch them was insane. Don’t make the mistake and purport, you might step on them – they get scared and might kill or hurt you with their stings. Just take care of that. You don’t have to worry otherwise. 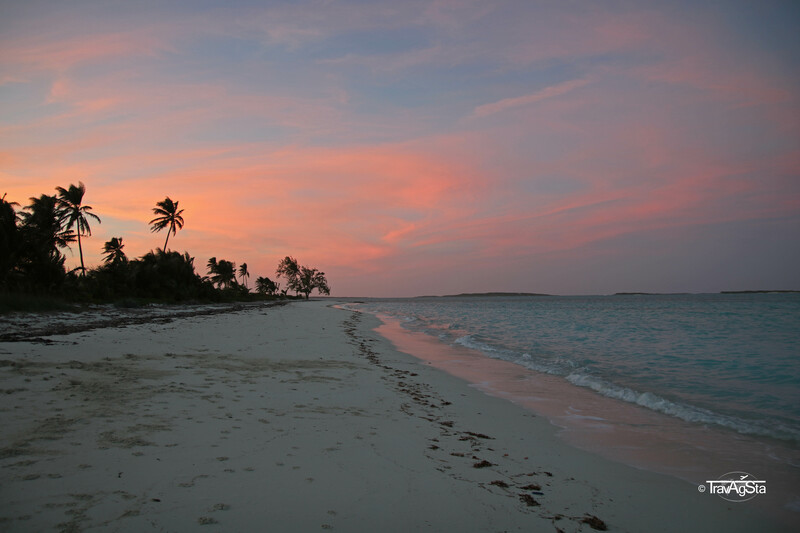 Have you ever been to the Exumas? Did you like it? What have we missed? 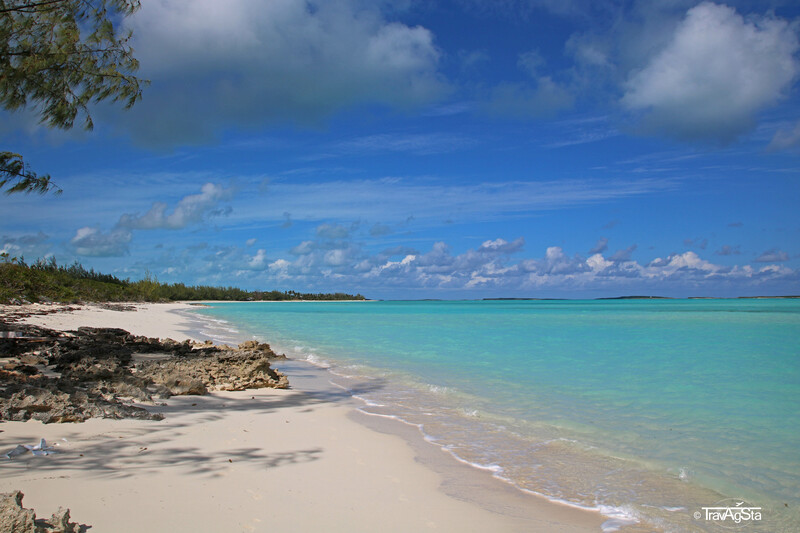 You’ll find more information about the Bahamas here! 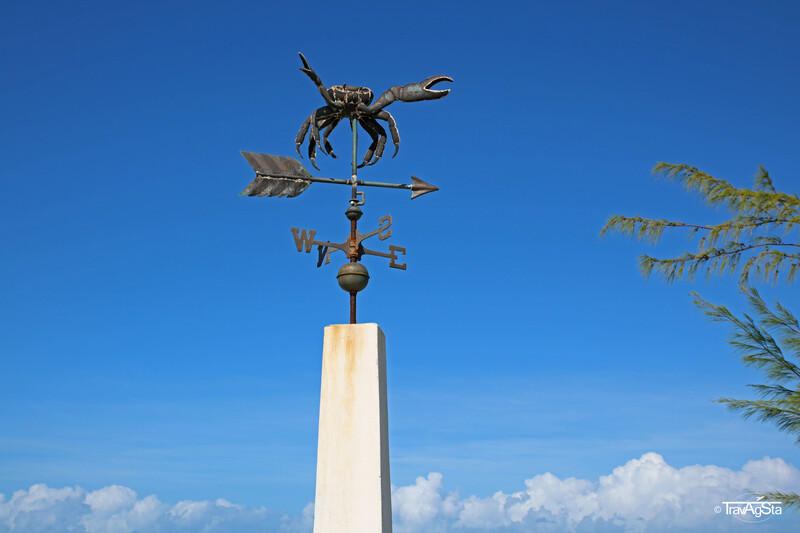 Curaçao – getting to know the island! Observations on Curaçao: Oddities and stereotypes!